These wedding table number ideas and alternatives will come in handy when it’s time to decide how to get your guests to their seats in style. 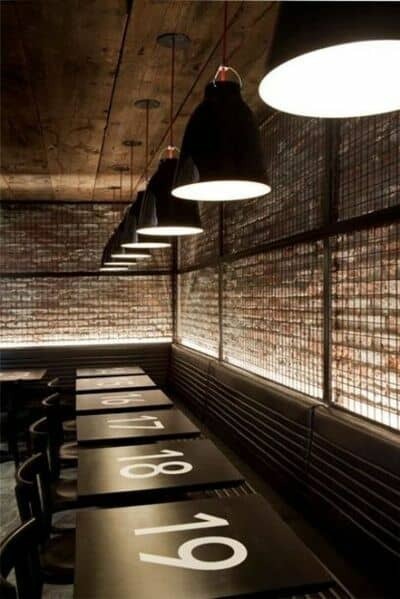 Forget the traditional or boring numbers and go for memorable and unique. Just like you! Interesting idea. It doesn’t have to be numbers. What works is a single bold icon or message. Make a statement at your reception with this fabulous roundup of wedding table number ideas. These cute little markers really come in handy, not only to guide your guests to their seats but for the waiters when they have to serve special meals to your guests, such as vegetarian or gluten free. 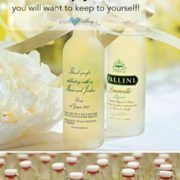 So, do not skip over them if you are planning on hosting a sit-down dinner! Besides, some of these wedding table number ideas are so simple that not copying them would be a crime. 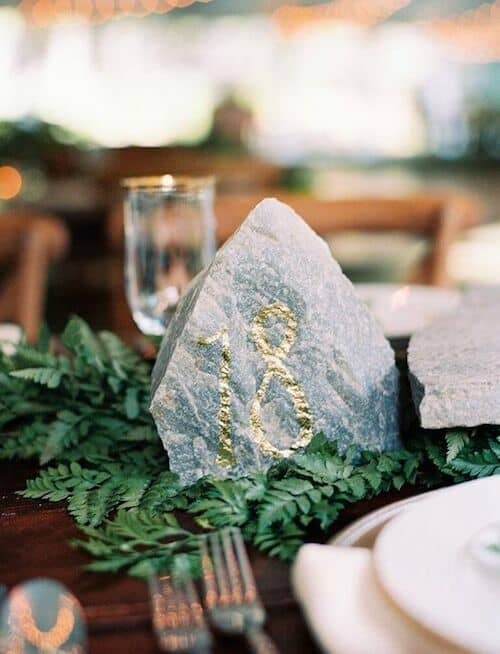 We are also sharing the steps on how to DIY some of these alternative wedding table number ideas. 1Love watercolors. They are perfect for boho style, summery beach weddings Why not add a touch of color to your wedding table numbers? The watercolors depicted here are printables on a card holder. You may also insert them in the middle of your centerpieces. 2Hear ye! Hear ye! Romantic couples here is a DIY for your wedding table numbers. Grab a cardboard shape, a stick, glue, and chalkboard paint and you are ready to go. 3These wedding table number ideas could be the inspiration for the entire wedding theme, amiright? 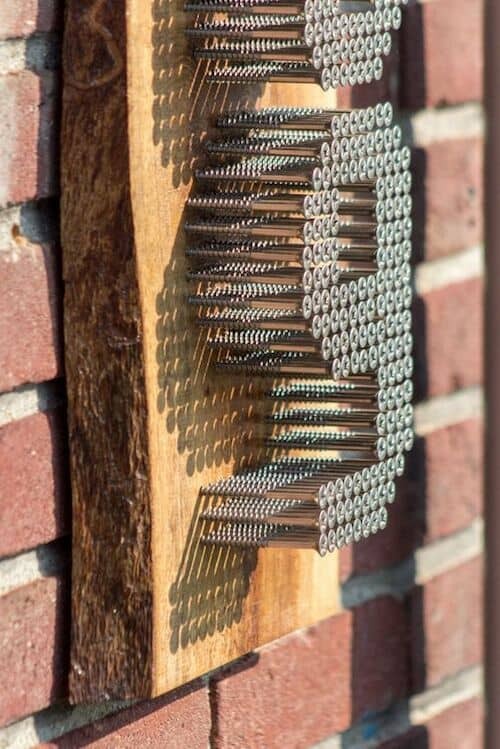 A very simple DIY. 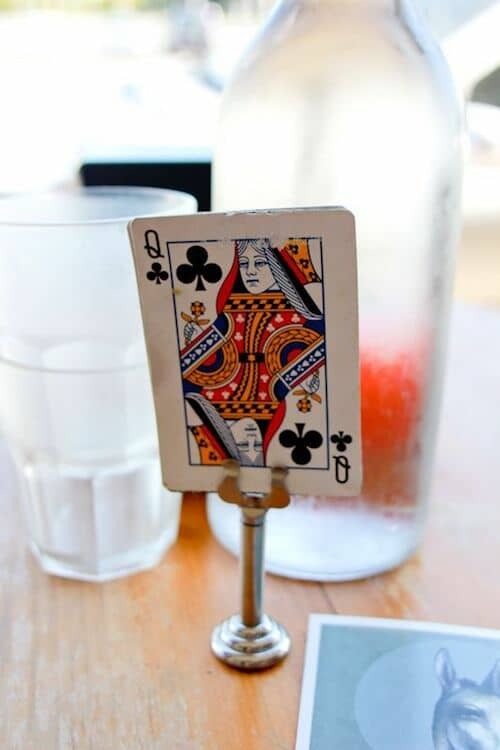 Table number holders and a deck of cards will do the trick. Wedding table number alternative ideas you can DIY in minutes. 4How good are you at calligraphy? It really doesn’t matter because you can purchase gold decals to add the number to these rocks. Or you can draw them yourself with a gold gel pen. 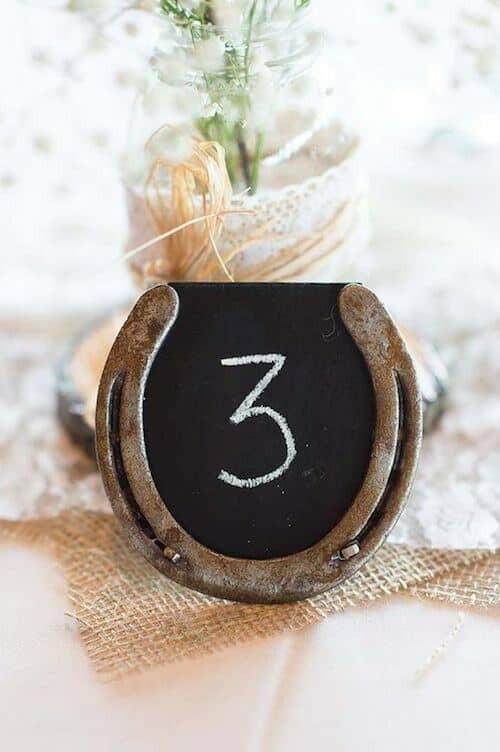 Wedding table number idea for a Utah wedding. Photo: Leo Patrone Photography. 5A classic. There’s nothing wrong with tried and true wedding table number ideas. The modern touch: place it on top of the table runner. Modern table number at a New Hampshire wedding. Photo: Rodeo & Co Photography. 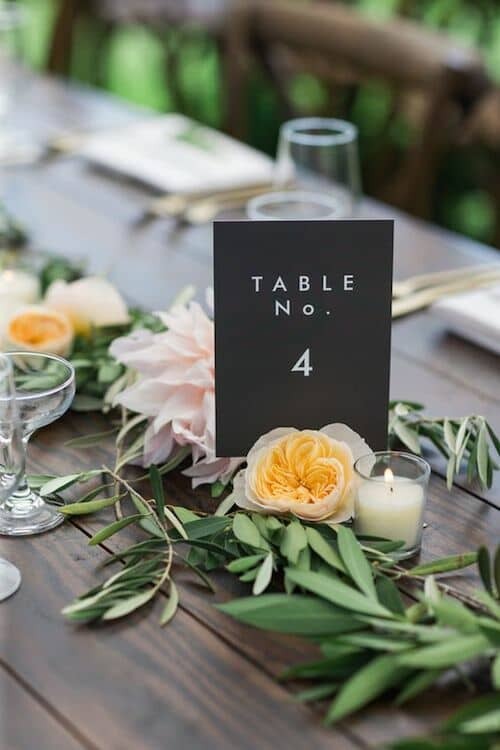 6Looking for wedding table number ideas to add some modern flair to the boring ones you have? Wrap them with some twine or jute for a relaxed rustic look. Adorable and fun table numbers idea. 7This is an easy DIY for a darling table number holder. Tie three wine corks with a ribbon and glue some bling to it. Insert the card with the number in between the corks. Voila! 8Beach weddings can get really creative with their table numbers. 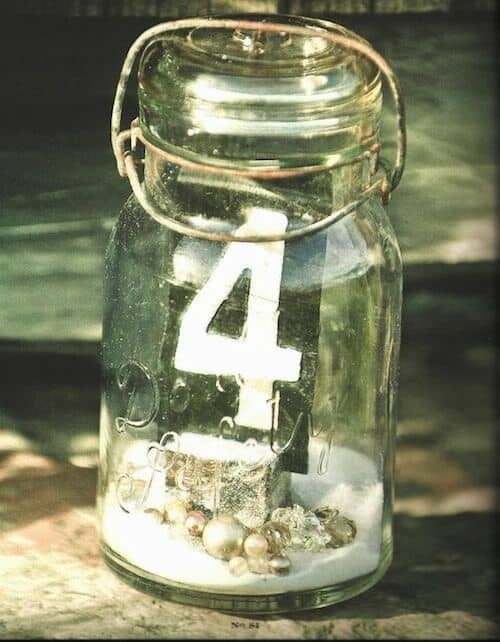 Mason jars filled with sand, seashells and a card table number held by a cork or wood sliver. 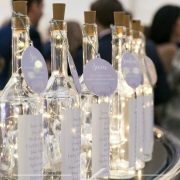 Or enjoy your seaside wedding with adorable table numbers in a bottle. 9This piece could be a photo table number, a centerpiece and a great conversation starter at the same time. Your guests will be able to find their tables and break the ice with these original wedding table number ideas. 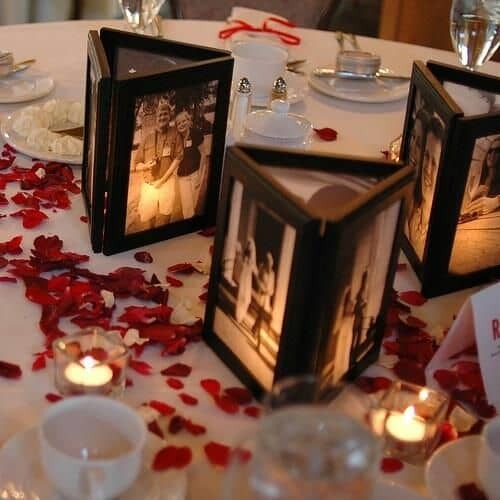 Romantic and nostalgic wedding table number ideas. 10Add a little glam to your table number cards with silk ribbons and a brooch. Want them ready made? Get them on Etsy. 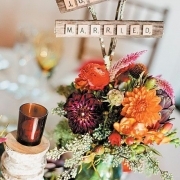 11Colorful weddings deserve distinctive table numbers. 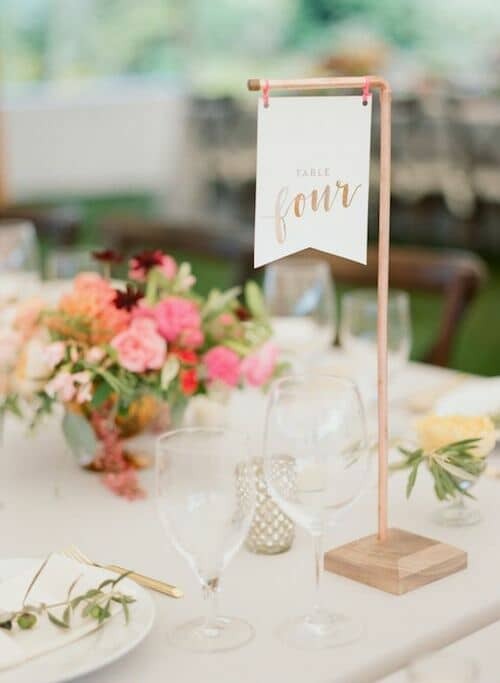 Flag table numbers. Photo: Ruth Eileen Photography. 12Clothespin table number holders are a cute, affordable and original idea. 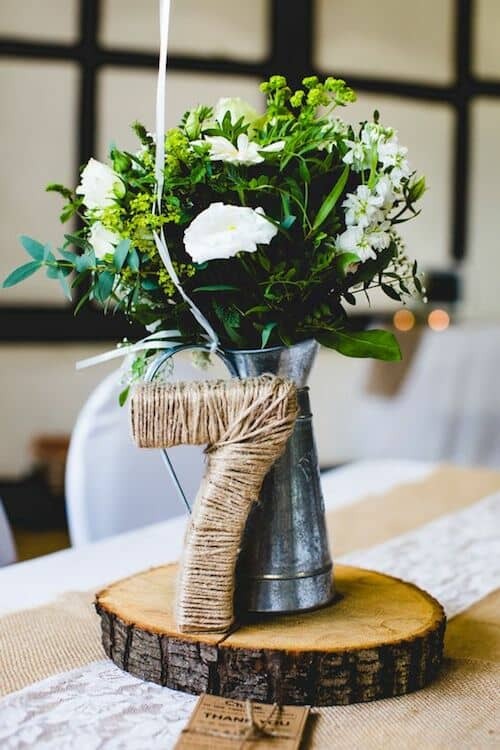 You can stick them on a potted plant and you can clasp a number, a photo or any name you would like to give your wedding tables. You can get them on Etsy. 13Transform your salt and pepper shakers into table number holders by adding a round wire. Make sure to fill them up with buttons or shells so they don’t fall down from the card’s weight. 14I love the bent fork! 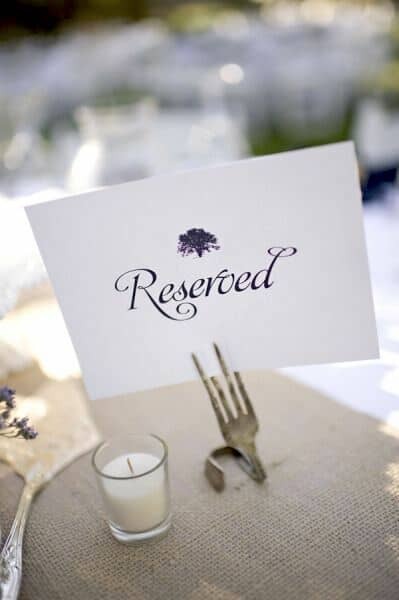 Replace the reserved sign with a number marker and you’ll have one of the most original table numbers out there. Oak Tree Manor, Houston. Photo: Alyse French Photography. 15If you are feeling crafty and have wooden slabs and enough nails handy, create your very own and personalized table numbers. Modern stainless steel table numbers. 16Maybe Charlie gets too restless around people but you still want to include him in your wedding. Maybe you are an animal lover. Paws down, these pet wedding table number ideas make for an excellent alternative! 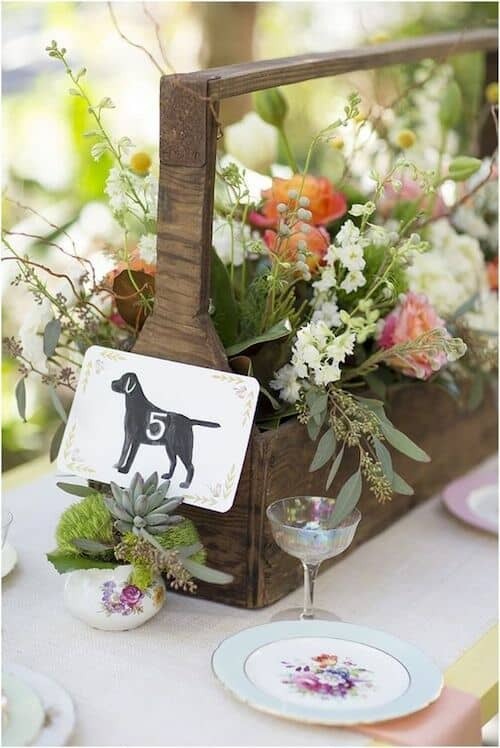 Pet wedding table number ideas to include your furkid in your reception decor. 17Horseshoe and chalkboard. 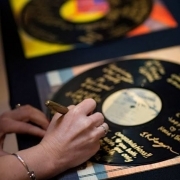 Another very original way to incorporate your passions into your wedding table numbers. Elegant rusticity. 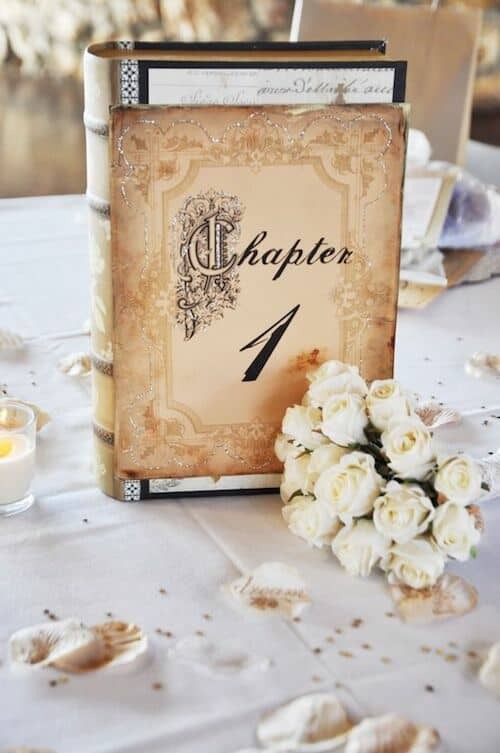 18Book lovers can transform their table numbers into a fantastic conversation piece with this fab idea. The first chapter of your lives together is about to begin. Why not reflect it on your wedding table numbers? 20Is gardening your passion? 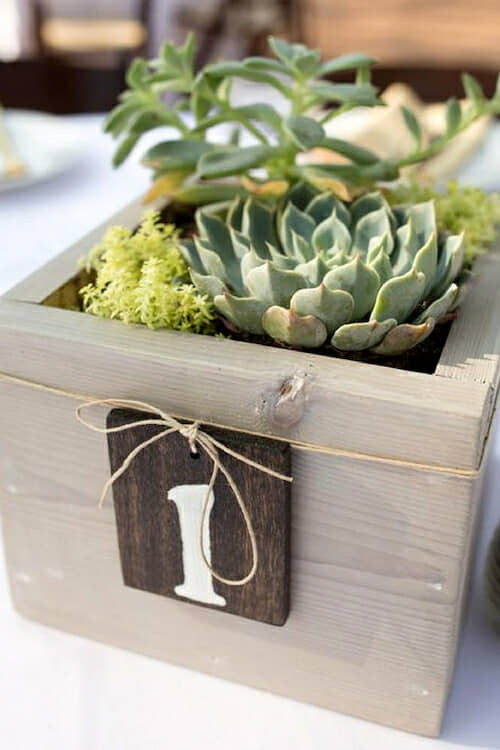 Show off your green thumb with a succulent centerpiece and table number all in one. 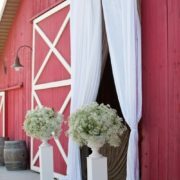 Creative ways to use potted plants in your wedding decor. 21If you met at a cafe and would like to recreate the same atmosphere, get inspired by their wedding table number ideas. 22Vintage stamped spoons will be a delicate addition to your wedding table. 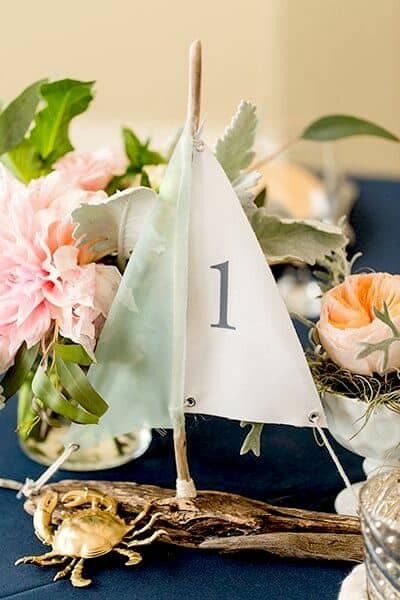 23Show off your style with a unique sailboat table number. Upgrade your style with a unique sailboat table number. 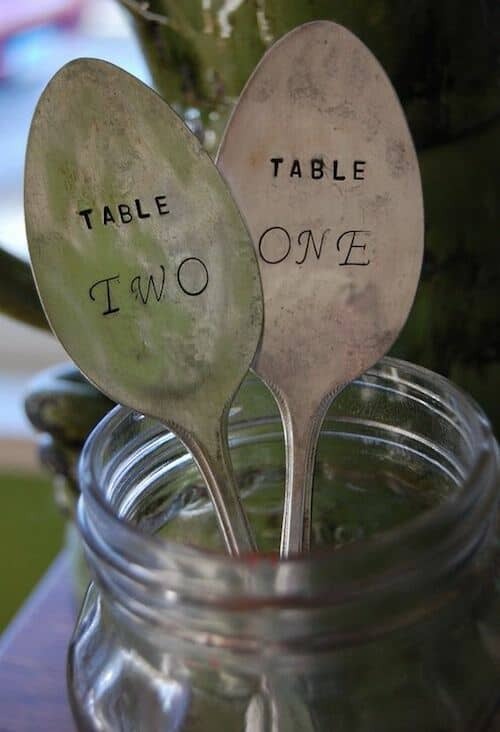 Keep on browsing more table number ideas! 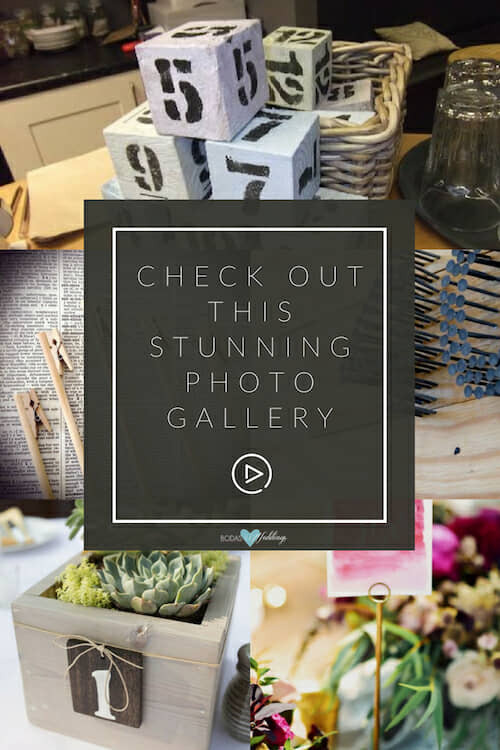 Photo Credits: Deer Pearl Flowers, The Crafted Blog, Karas Vineyard Wedding Shop, wedding chicks, Remodelista, SheSaid, kunstkammer, livvy hukins, nostalgiarentals, perfect wedding, sweeteyecandycreations.